Woo hoo, after exciting graduation, I am now a Master of Science in Information Assurance. Yeah!!! The graduation was good, however, after seeing all the cool gowns of the PhD students, it really makes me want to get a PhD just for that 🙂 Oh maybe in another 10 years. 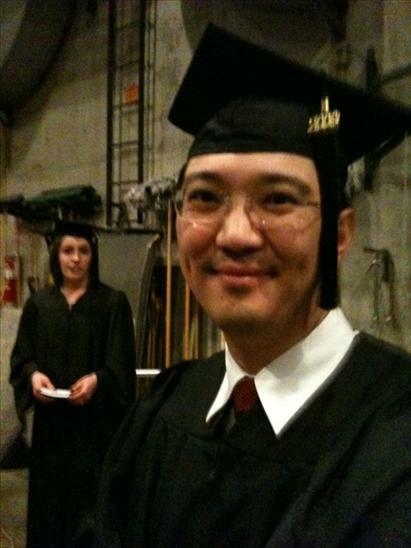 Speaking of 10 years, I graduated from Auburn in 1999 for my Bachelors. In 10 years, I finally got my Masters. Thanks for everyone that supported me, especially my parents for encouraging me to get a Masters degree. Thanks Mom and Dad. Also can you believe it … I actually accidentally meet couple of my classmate during graduation. yes… my classmates were all online classmates. I also met another guy, who also took exactly 10 years to get his Masters. Both of his graduation was on the same day Dec. 18 1999 and 2009. Cool huh?